Can constructed their music largely through collective spontaneous composition –– which the band differentiated from improvisation in the jazz sense. 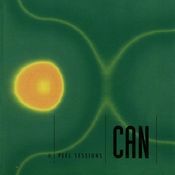 Holger Czukay referred to Can’s live and studio performances as “instant compositions”. They had occasional commercial success, with singles such as “Spoon” and “I Want More” reaching national singles charts. Through albums such as Monster Movie (1969), Tago Mago (1971), Ege Bamyasi (1972) and Future Days (1973), the band exerted a considerable influence on avant-garde, experimental, underground, ambient, new wave and electronic music. 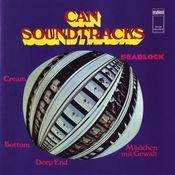 The roots of Can can be traced back to Irmin Schmidt and a trip that he made to New York City in 1968. While Schmidt initially spent his time with avant-garde musicians such as Steve Reich, La Monte Young and Terry Riley, he was also eventually exposed to the world of Andy Warhol, Hotel Chelsea and, The Velvet Underground. In his own words, the trip “corrupted” him, sparking a fascination with the possibilities of rock music. Upon his return to Cologne later that year, an inspired Schmidt formed a group with American avant-garde composer and flautist David C. Johnson and music teacher Holger Czukay with the intention of exploring his newly broadened horizons. The Hotel Chelsea is a historic New York City hotel and landmark, known primarily for its history of notable residents, which has been the home of numerous writers, musicians, artists, and actors. Up to that point, the inclinations of all three musicians had been exclusively avant-garde classical. 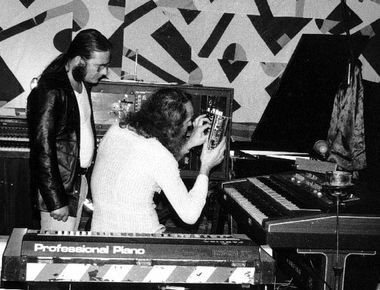 Schmidt chose to play organ and piano, while Czukay played bass and was able to record their music with a basic two-track tape machine. 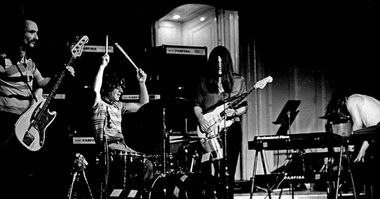 The group was soon fleshed out by with guitarist Michael Karoli, a 19-year-old pupil of Czukay, and drummer Jaki Liebezeit. 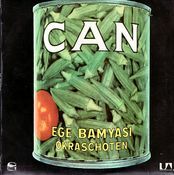 Can was ahead of its time in a number of ways. Czukay and Schmidt had studied with Stockhausen, and Schmidt had also performed and conducted works by Cage, Feldman and Gorecki. 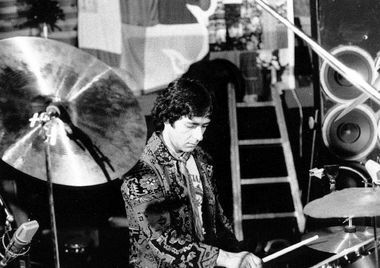 Drummer Jaki Liebezeit free-jazz hátterű had a free-jazz background and had played with Chet Baker and Manfred Schoof, and guitarist Michael Karoli had studied Gypsy music and served time in dance bands. Their varied backgrounds, their dedication to experimentation and their mutual ignorance about rock music allowed them to develop a beautifully unclichéd sound, one that treated drums and bass with inordinate respect. As the group developed a more rock-oriented sound, a disappointed Johnson left the group at the end of 1968. The band used the names “Inner Space” and “The Can” before finally settling on “CAN”. In mid-1968, the band enlisted the creative, highly rhythmic, but unstable and often confrontational American vocalist Malcolm Mooney, a New York-based sculptor, with whom they recorded the material for an album, Prepared to Meet Thy Pnoom. 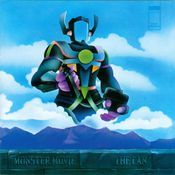 Unable to find a recording company willing to release the album, the group continued their studio work until they had material for what became their first release, Monster Movie, released in 1969. This album contained new versions of two songs previously recorded for Prepared to Meet Thy Pnoom, “Father Cannot Yell” and “Outside My Door”. 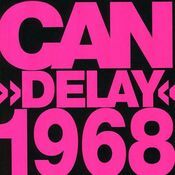 Other material recorded around the same time was released in 1981 as Delay 1968. Mooney’s bizarre ranting vocals emphasized the sheer strangeness and hypnotic quality of the music, which was influenced particularly by garage rock, psychedelic rock and funk. Repetition was stressed on bass and drums, particularly on the epic “Yoo Doo Right”, which had been edited down from a six-hour improvisation to take up a mere single side of vinyl. Liebezeit’s tight but multifarious drumming was crucial in carrying the music. Mooney suffered a nervous breakdown. 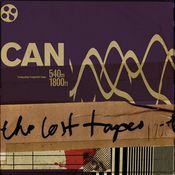 He returned to America soon afterwards on the advice of a psychiatrist, having been told that getting away from the chaotic music of Can would be better for his mental health. He was replaced by the more understated Kenji “Damo” Suzuki, a young Japanese traveller found busking outside a Munich cafe by Czukay and Liebezeit. Though he only knew a handful of guitar chords and improvised the majority of his lyrics (as opposed to committing them to paper), Suzuki was asked to perform with the band that same night. 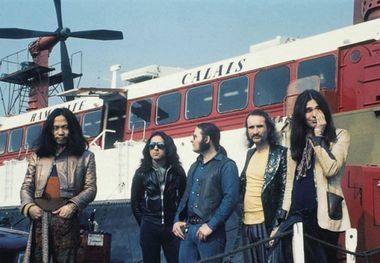 The band’s first record with Suzuki was Soundtracks, released in 1970, a compilation of music made for films that also contained two earlier tracks recorded with Mooney. Suzuki’s lyrics were usually in English, though sometimes in Japanese (for example, in “Oh Yeah” and “Doko E”). 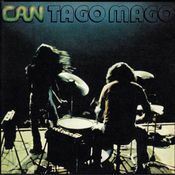 Tago Mago was followed in 1972 by Ege Bamyasi, a more accessible but still avant-garde record which featured the catchy “Vitamin C” and the Top 10 German hit “Spoon”. 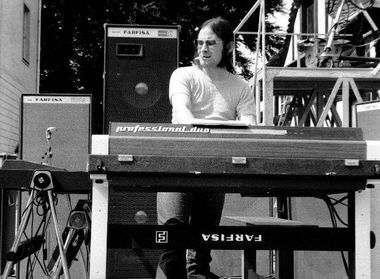 It was followed by Future Days in 1973, which represents an early example of ambient music, as well as including the pop song “Moonshake”. Suzuki left soon after the recording of Future Days to marry his German girlfriend, and become a Jehovah’s Witness. Vocals were taken over by Karoli and Schmidt; however, after the departure of Suzuki, fewer of their tracks featured vocals, as Can found themselves experimenting with the ambient music they had begun with Future Days. 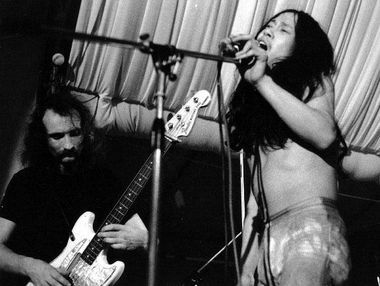 RU: I wonder if you could compare the band as they were with Malcolm Mooney and as they were with Damo Suzuki. HC: With Malcolm Mooney, we were very fresh. Malcolm was a great rhythm talent. He was a locomotive. That was the right singer from the very beginning, as this was our weak point. Maybe we were creating rhythms, but you could say we were not very stable in ourselves in doing that. That means [we needed] someone who was pushing us into the rhythm, and giving us the feel that this is the right thing to do. This was Malcolm Mooney, and he got integrated very much into what all the other musicians did. I think he was the right singer in the right place at the right time. When he left because of psychological reasons, Damo came in. The group was far more experienced by that time. Damo is not such a pusher. He is a different sort of a singer, and therefore the group achieved such a stability. Again, Damo fitted perfectly into that. So you can say by the follow-up by the musicians who came in. Everything was really perfect. The problem was, when Damo disappeared, Can was now without a singer. Suddenly we felt a hole in our music. Michael was singing, but he is not – a guitar player actually should not sing. Except like Jimi Hendrix or something like that. Actually, a guitar player should play guitar. That was our problem, suddenly, what we had. We tried out so many singers at that time. And nobody really fitted again into this group. It was somehow Can’s fate, or tragedy, or whatever you call that, that it happened like it happened. But that’s what was given to the group. 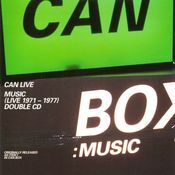 The later albums Landed (1975) and Flow Motion (1976) saw Can moving towards a somewhat more conventional style as their recording technology improved. 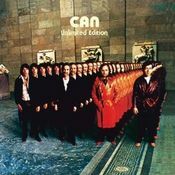 In 1977 Can were joined by former Traffic bassist Rosko Gee and percussionist Rebop Kwaku Baah, both of whom provided vocals to Can’s music, appearing on the albums Saw Delight (1977), Out of Reach (1978) and Can (1979). During this period Holger Czukay was pushed to the fringes of the group’s activity; in fact he just made sounds using shortwave radios, Morse code keys, tape recorders and other sundry objects. He left Can in late 1977 and did not appear on the albums Out of Reach or Can, although he was involved with production work for the latter album. The band seemed to be in a hiatus shortly afterwards, but reunions have taken place on several occasions since. Since the split, all the former members have been involved in musical projects, often as session musicians for other artists. In 1986 they briefly reformed, with original vocalist Mooney, to recordRite Time (released in 1989). There was a further reunion in 1991 to record a track for the Wim Wenders film Until the End of the World, and Can have since been the subject of numerous compilations, live albums. Rebop Kwaku Baah died in 1983 following a brain hemorrhage. Michael Karoli died of cancer on 17 November 2001. 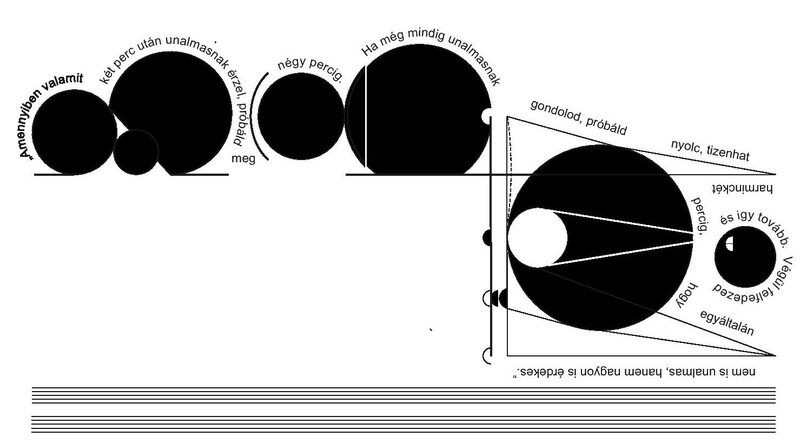 This entry was posted in composers / musicians on 2013-05-28 by en.